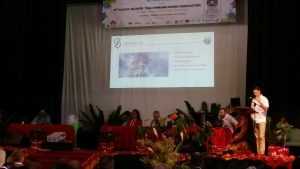 During the week of 3-7 April, 2017, the Pacific Islands Telecommunication Association held their 21st anniversary AGM on Rarotonga, Cook Islands. This milestone event which attracted more than 200 overseas attendees, was opened by the Prime Minister. The conference theme was “Unlocking Smarter Communities in the Pacific” and addressed critical issues and challenges in the Pacific and identified ways public and private partnerships could be coordinated in order to improve the lives of the people in the region. 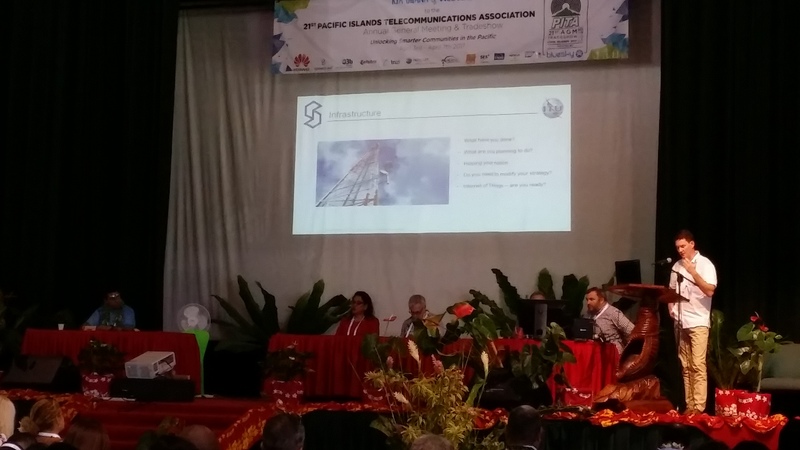 The event was hosted by Blue Sky Cook Islands and speakers included ITU, Kacific, O3B, ABS and ICANN. The refreshment breaks offered time for participants to gather together to discuss other common issues, and members of the Pacific IGF planning committee took advantage of the opportunity to have a face-to-face meeting to discuss this upcoming event. 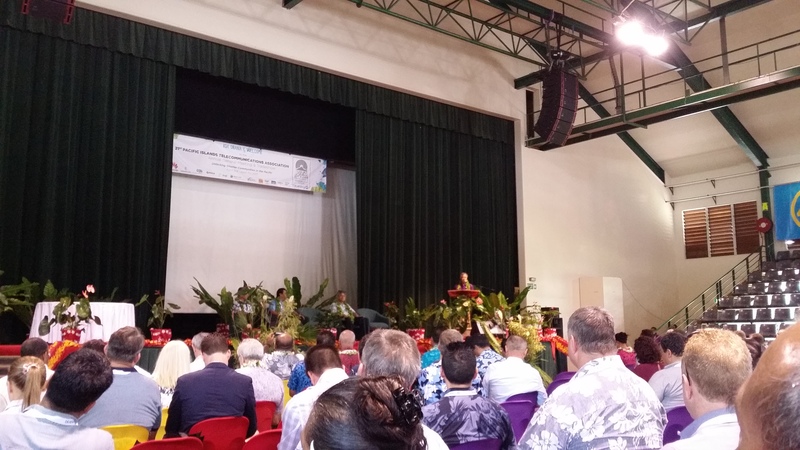 Pua and Dalsie at the opening ceremony of the PITA conference held on Rarotonga. The meeting agreed that the Regulator in Vanuatu would be the contact person for organization of the NETP Work shop. 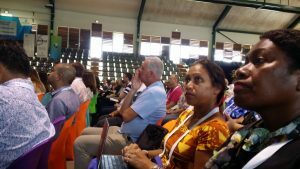 The Workshop would be held over two and a half days 15th – 17th May in Port Vila, Vanuatu. TRR will be responsible for local logistics while PIRRC will be responsible for developing the agenda and organizing for the attendance of delegates from the other participating countries. TRR will provide template agreement for financial management to allow for TRR transfer of funds. It was agreed that the Vanuatu Regulator TRR, would be the cohost with the Office of the Government Chief Information Officer and would coordinate the local logistics. PIRRC would responsible for the Agenda and speakers. The Forum would be held on May 17th and 18th, in Port Vila Vanuatu at the Place National Convention Centre. The operating principle would be that this Pacific IGF for 2017 would be the responsibility of the TRR but would be open to any individual or organization that wished to attend. Communication- A promotional banner for the Pacific IGF 2017 will be placed on the web sites of OGCIO, TRR and PIRRC. Information on the IGF would also be replicated on the three sites. Funding- All funding for the Forum will be channeled through and accounted for by the TRR. Sponsorship will be sought through agreement between the co-host and PIRRC. Registration – registration would be on line and open to anyone and will close one week before the event on May 7th. Fellowships – there is commitment to provide any fellowships for the Forum but discussions will be held with APNIC and ICANN for the possibility of ensuring representation from the wider Pacific countries. Participation- Participation will be open to anyone and arrangements will be made for remote participation.